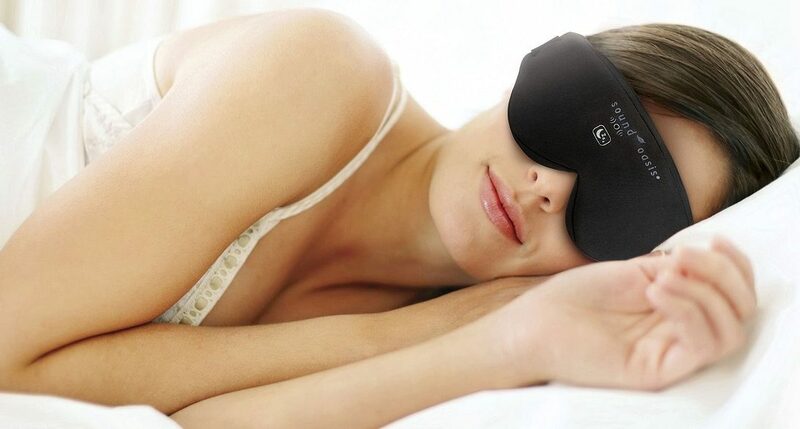 illumy is a comfortable sleep mask that uses gently dimming light to help you fall asleep and gently brightening light to help you wake up naturally. Now 50% thinner material and 35% lighter! Find out what happened when Catherine, a guest on the Rachael Ray Show, tested illumy and shared her experience - Simply Amazing! The Glo to Sleep sunset will help you focus your mind on the process of relaxation and sleep – naturally and effectively. Red enriched sunset light tells your mind and body it is time to sleep. Red illumination slowly fades over time to gently lull you into sleep. The Glo to Sleep sunrise will help you wake up feeling rested. Blue light increases alertness and overcomes that sleep inertia that makes getting up so difficult. Blue enriched sunrise light tells your mind and body that morning has arrived. Blue illumination slowly increases before your alarm time. At the alarm time, the mask gradually fills with white light. 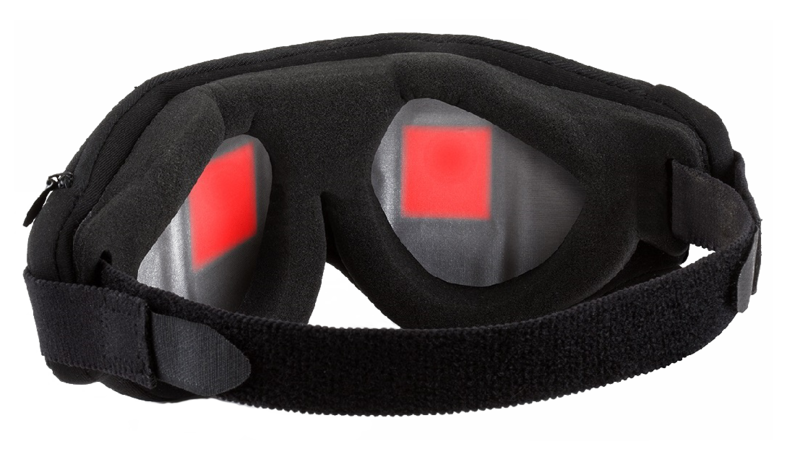 Sleep Enhance Pacing Technology uses pulsing light to slow down your racing mind and lull you to sleep. In the morning, the quickening pace of pulsing light draws you out of your rest and prepares your mind for a productive day. With the included travel case, you'll never lose the accessories and keep your sleep mask in perfect condition. The mobile programming app also allows you to set your mask to your destination's local time zone. Design simplified: only one button allows for an extra lightweight sleep mask. All of your favorite settings are selected using the easy to use iOS or Android App. Sync your mask with your phone or portable device and you are ready to sleep and wake up refreshed. Don't have a smartphone? You can also use your computer with the online programmer. Enter your name and email to get updates on when this exciting new product will be available! Sign me up for updates and deals! It helps me have a more productive sleep & to get to sleep. I feel like a new person & have energy all day long which is great at 70 yrs old. It has changed my life literally! No Kidding. I will promote this product to everyone I know & meet! I've grown dependent on the mask to sleep while traveling as many hotels don't have reliable blackout curtains. Also use at home on nights when I have to wake at very early as it's light out when I go to bed. The mask is extremely comfortable. I've been a stomach sleeper since infancy and I'm able to sleep on my back or side due to comfortable construction. Really nice looking product and excellent quality. The blue morning light is excellent and it is nice to be able to adjust the wake up time. It is blocking out light 100% from the outside without any problems. The app is very good. I'm very impressed! Overall a comfortable mask and it stayed on well all night. The App is very simple and easy to use. Congratulations on illumy, it is an impressive device. It seems very well made and is quite comfortable. illumy is easy to program - the following video demonstrates the programming process using a smartphone App. 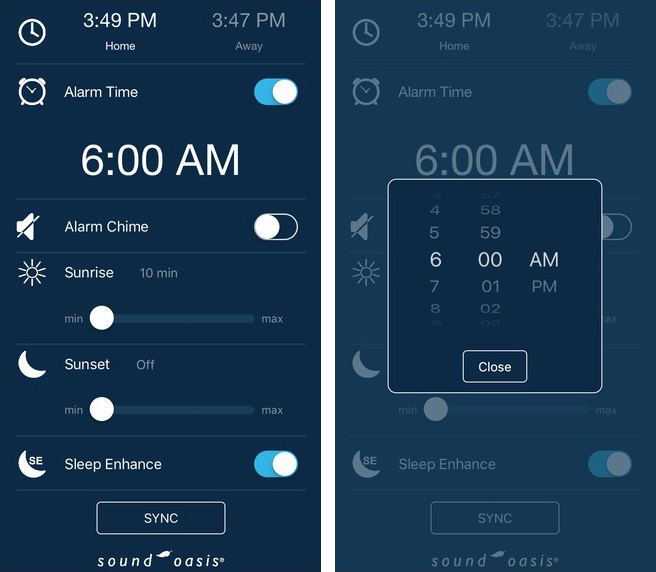 Choose your alarm time, sunrise and sunset duration and sleep enhance settings. Before using illumy, please make sure it is fully charged. This is easy to do - as you can see in the video below. If you find that the initial sunset brightness is too strong, you can quickly adjust the maximum light level. To adjust the brightness: Start the sunset by pressing and releasing the sleep button. Press and hold the sleep button to dim the lights. Release the button when the preferred light level is reached. 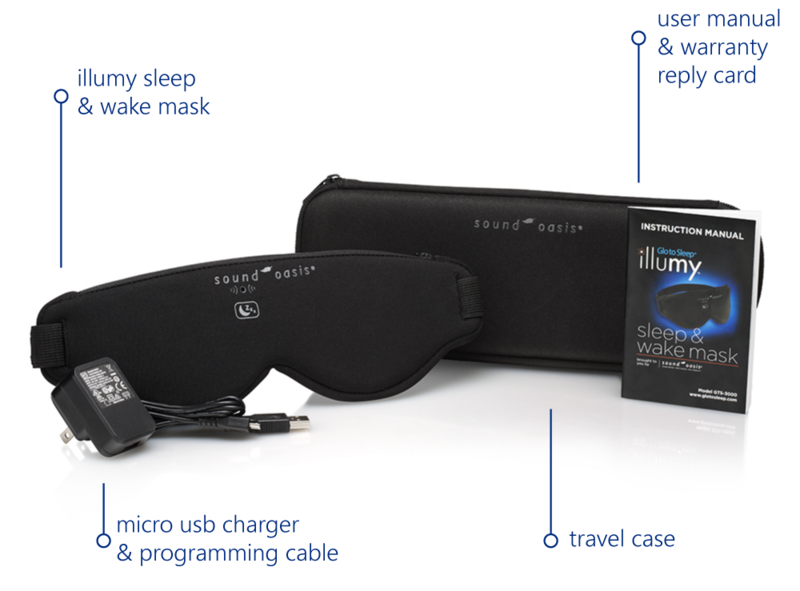 illumy comes with a travel case to allow you to conveniently store your sunrise sleep mask with the accessories. The case also protects illumy during travel or storage so that your sleep mask stays looking brand new. Get 20% off - Sign up for exciting product announcements and special offers!